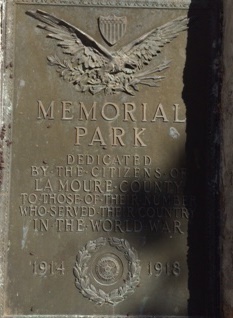 LaMoure County Memorial Park is just north of Grand Rapids on paved roads. Memorial Park is settled along the bends of the James River. It generally opens for the season around May 15th and closes by mid-November. It has modern camping facilities, electrical hook ups, modern showers and restrooms, a baseball field, basketball court and playground equipment and the Memorial Park Golf Course is within walking distance. There is also a bunkhouse and kitchen/dining hall available for rent. Family reunions, private parties, hunters and groups are welcome. 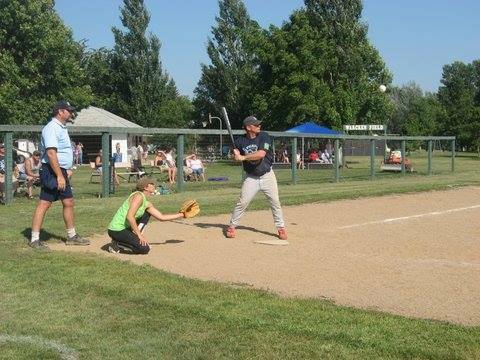 Annually, the park hosts pioneer days, a softball tournament and musical events. For more information or camping reservation, please contact the LaMoure County Courthouse Auditor's office at 701 883 6040. 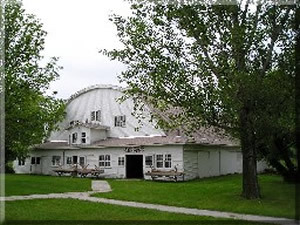 The park is also home to the LaMoure County Museum and LaMoure County Summer Musical Theatre and next to Memorial Park Country Club. LaMoure County Museum is a two story building full of history as well as a one-room school house and annex full of larger artifacts. 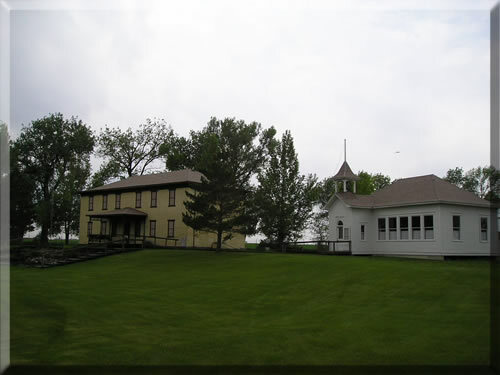 Picture of LaMoure County Museum and Schoolhouse. Picture of Summer Musical Theatre building.